In recent decades it has become common in certain circles—often academic, sometimes popular—to challenge the historicity of famous figures and seminal events. The most well-known expression of this trend can be seen in those circles, skeptical and sometimes openly atheistic, that have taken the “search for the historical Jesus” to an extreme, calling into question whether a historical Jesus existed at all. The “Jesus Seminar” is a perfect example of this skeptical and even sensationalist approach. The general argumentation of this sort is centered on attacking the early Christian sources, citing the temporal distance of the Gospels and other writings from the early first century and the heavily biased nature of these texts as reasons to doubt the very existence of Jesus and to suspect he was merely a character invented to justify a particular theology, rather than the actual progenitor of it. The skeptical cacophony has reached enough of a crescendo that Bart Ehrman, a leading New Testament scholar at UNC-Chapel Hill, recently published Did Jesus Exist? The Historical Argument for Jesus of Nazareth (HarperOne, 2012), a defense of the historical existence of Jesus. Ehrman is certainly no fundamentalist—in fact, he has publicly identified himself as an agnostic—and in this new work he is fully aware of the biases and pitfalls inherent in the early Christian sources. Yet despite these obvious issues he still demonstrates the overwhelming evidence for the historicity of Jesus, even if he does portray a rather different figure than the one depicted in the Gospels. A similar series of works have appeared that attempt to work the same kind of radical historical revisionism on the early history of Islam, focusing on the person of Muhammad and the text of the Qur’an, including Karl-Heinz Ohlig and Gerd R. Puin’s The Hidden Origins of Islam, Hans Jensen’s Mohammed: Eine Biographie, and an entire body of work by Ibn Warraq. The present work under consideration, Robert Spencer’s Did Muhammad Exist? An Inquiry into Islam’s Obscure Origins (ISI, 2012) is the latest and perhaps most provocative of these books. Spencer is a controversial figure, being the founder of Jihad Watch and author of a number of works deeply critical of Islam, including The Truth about Muhammad, The Complete Infidel’s Guide to the Koran, and The Idiot’s Guide to Islam (and the Crusades). In many ways, this new book is a continuation of his early forays against Islam, and is also a direct outgrowth of many of the similar works listed above. The very title of the work is quite provocative given the stature Muhammad has as a historical figure, much less his critical religious importance to global Islamic communities. Yet this is in keeping with the tenor of Spencer’s previous forays into Islamic studies; he has been bold, brash, and unafraid to make unpopular assertions before, and this work does not deviate from that mold. Spencer justifies the need for his book by claiming that the history of Islam’s origins has not been subject to “historical criticism on any significant scale” (p. 3). This claim is somewhat bewildering. It is true that the Qur’an and the other early Islamic sources have not been subject to the voluminous historical-critical studies that have examined the Old and New Testaments over the past three centuries, but the body of Western scholarly literature on the Islamic sources is still extensive and ever-expanding. Critical treatments of the Qur’an and other early Islamic sources began to appear in Germany and Belgium in the mid-19th century, a trend that continues through our own day. A number of excellent scholarly works have appeared recently, including ones by such scholars as Fred Donner, Robert Hoyland, Walter Kaegi, and Chase Robinson, among many others. Spencer’s list of works for further reading (pp. 239-40) provides only a tiny fraction of the scholarly work currently in print. So his charge that his book’s critical approach is something new is unfounded. Critical studies of Islamic sources have long existed; what is new is Spencer’s particular conclusion about those sources. What can we know about the past? Much like those skeptical and atheist critiques of the historicity of Jesus, Spencer’s arguments about Muhammad hinge upon a serious reevaluation of the earliest sources of Islam. (I do not mean to imply that Mr. Spencer is an atheist or agnostic; from what I understand, he is an avowed Catholic. I only intend to note that his methodology is quite similar to those used by those atheist and agnostic critics of early Christianity.) His coverage of those sources is, laudably, quite comprehensive, making use of relevant textual, archaeological, epigraphic, and numismatic evidence. Yet the problem with Spencer’s approach is not the sources that he uses, but how he goes about using them. This work is fatally flawed by numerous logical fallacies and poor source criticism. One of the basic problems of historical studies is epistemological; what can we know about the past? Leopold von Ranke, the 19th-century German scholar and founder of modern historical studies, posited that the goal of history is to determine “what actually happened,” and with his contemporaries believed that historical investigation could objectively determine all manner of historical fact to a degree of scientific precision. This search for an absolute, objective knowledge of the past has proven elusive, largely due to the nature of the evidence. Historical sources are unlike evidence produced by scientific experimentation, since we cannot control the nature of the sources we possess as one can control certain aspects of a physical experiment. Historians must contend with a number of potential problems with their sources, especially those related to the most ancient past. We only possess a tiny fraction of written works produced in the ancient world, and in many cases what we have is fragmentary and has been changed and varied during the course of transmission. Often these materials reflect various aspects of human fallibility; the authors possess conscious or unconscious biases, have limited knowledge or perspective, or simply make mistakes. 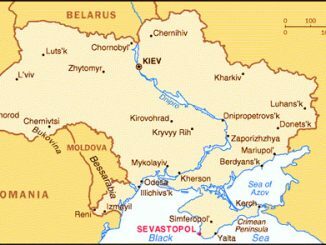 Sometimes the sources give us a wide view of contemporary events, but in many cases they provide only a small, fleeting glimpse of a historical episode, and these episodes must be integrated into a larger historical framework. In short, the job of a historian is not an easy one, and requires very careful treatment of the surviving evidence. But this task is not impossible. Despite whatever distortions may exist within the source material, there is real historical data that may be gleaned. Bias does not equal fabrication, and imperfections do not negate an entire text. Such limitations are particularly acute in the period Islam developed. The seventh century saw a procession of cataclysms throughout the Mediterranean world, a “world-crisis,” as historian James Howard-Johnston has rightly named it. The century began with a titanic war between the Byzantine and Persian Empires (602-628), with the Islamic Invasions immediately subsequent. The Persian Empire, itself highly cultured and a worthy rival to the Byzantines, disappeared under the deluge of Arab armies, and the Byzantine Empire only barely survived, losing 60 percent of its territory and undergoing a major social, political, and military transformation in the process. It was truly a Dark Age in every sense, so it is little wonder that we possess only a small amount of evidence, and what evidence we have reflects the confusion and chaos inherent in the period. Spencer takes many of these limited sources and uses them in an illogical manner. 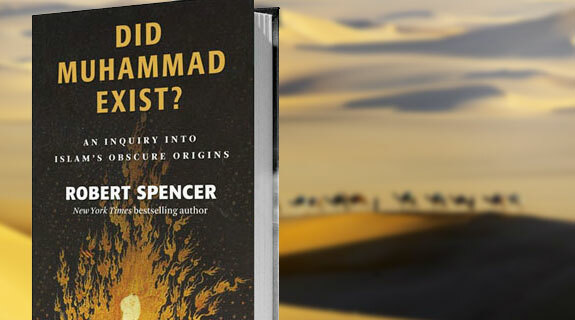 In the first several chapters of the book, Spencer’s favored methodology is the “argument from silence”: if Muhammad, Islam, and the Qur’an are not specifically mentioned in the contemporary sources, then they must not have existed in any recognizable form. Yet, as the old cliché goes, absence of evidence is not evidence of absence. A prominent example of his poor source criticism involves the Doctrina Jacobi, a Christian anti-Semitic work dateable from the mid to late 630s, the exact period that Arab armies were conquering Palestine. It contains a brief reference to violence done by the Arab marauders, and most significantly, to an unnamed prophet who had riled up the Arabs into their assault into Christian territory. Most scholars regard this as a direct reference to Muhammad, but Spencer notes that the name “Muhammad” does not appear in the text, and that there are a number of other details that do not match up with the traditional story and theology of early Islam. For example, the Doctrina implies that this prophet was still alive, though Muhammad reportedly died in 632, before the Doctrina’s composition. The text also states that the unnamed prophet possessed “the keys of paradise,” a doctrine not present in Islamic theology (pp. 21-22). Spencer uses these issues to call into question the traditional Islamic story, when it is more logical to question the Doctrina! In the context of the sudden and surprising Arab invasions, can we really expect a Christian writer to know the full details of contemporary Arabian affairs, or accurately relate the theology of some prophet appearing out the deepest deserts of Arabia? This same kind of problem manifests itself in all of the other seventh-century Christian sources that Spencer uses, from Sophronius of Jerusalem, to the Armenian History of Pseudo-Sebeos, to John of Nikiu. They are all near-contemporary to Muhammad, but none of them mention Muhammad, Islam, or the Qur’an by name. What references to Islam they include are oblique and do not seem to match up with the traditional Islamic story. But again, it is it reasonable to expect Christian writers to have an accurate knowledge of contemporary Islamic history and thought? Or to expect they would be objective and accurate if they did possess such knowledge? Given the chaotic nature of the age, it seems not. Spencer’s use of inscriptions is likewise flawed. If an early Islamic inscription does not mention Muhammad, then in Spencer’s mind he must not have existed. But these inscriptions are extremely episodic in nature, and are designed to bring praise to a particular Islamic ruler, so why would we expect Muhammad to be mentioned in this setting? So our sources for the seventh century are few and imperfect, but they do not give us any immediate reason to doubt the existence of Muhammad. The earliest full accounts of Muhammad’s life do not appear until well into the eighth century, over a century after the death of the Prophet. The most important of these is Ibn Ishaq’s Sirat rasul Allah, which, in its ninth-century redaction, became the standard source for information about the life of Muhammad. Spencer is deeply skeptical of any source that is not contemporary or near-contemporary to the events described, such as Ibn Ishaq, or al-Tabari, the author of an important 10th-century chronicle. Spencer makes the mistake of assuming that temporal distance equals historical distortion within the text. This is a standard polemical trope, one often used as an atheist critique of the Christian Gospels. However, there are numerous cases in the ancient world where our only sources were written decades and centuries after the fact, but still contain a great deal of accurate material. This is due to the fact that many ancient authors had access to sources that have not otherwise survived. Al-Tabari had access to a number of very good sources regarding pre-Islamic and early Islamic history that no longer exist. The same seems true for Ibn Ishaq, who relied upon a number of earlier biographic works on Muhammad. This is not to say there are not serious difficulties regarding these sources. Both al-Tabari and Ibn Ishaq rely heavily on hadith, traditional sayings and actions attributed to the Prophet and largely passed down via oral transmission. Spencer rightly notes that hadith were often distorted for partisan purposes, and the accuracy of oral tradition can legitimately be questioned. The incorporation of legendary tales, such as miracle stories, is also troubling for Spencer, and he determines that the inclusion of such tall-tales means these sources are not “straight-forward historical records” (p. 121) and are “folk tales” (p. 122). He also makes the obvious point that such stories are told to set apart Muhammad as an “exceptional human being” (p. 123), an indication of a clear bias towards Muhammad and his divinely appointed mission. This much is certainly true. But Spencer would take these natural difficulties and use them to mark such sources as “unreliable,” and throw them out completely. If this were a reasonable historical standard then all the ancient sources we possess are suspect, and we can know nothing about the past. Being critical of these sources is perfectly appropriate, but casting them aside completely is not reasonable. Having disposed of the traditional Islamic sources, and Muhammad with them, Spencer then turns toward creating a revisionist history of early Islam. He first explains the Qur’anic text away as an Arabic redaction of a Syriac Christian lectionary, not a wholly original work composed in Arabic. Here he is, quite admittedly, following the philological work of Christoph Luxenberg. However, Luxenberg’s work has been widely panned by the larger scholarly community as being methodologically faulty. Spencer then attempts to re-date the codification of the Qur’an from the caliphate of Uthman (644-656) to that of the Umayyad caliph Abd al-Malik (685-705), based upon several minority hadiths. All of this is with an ultimate view to placing the emergence of an identifiable Islamic theology and history well into the mid-eighth century, over a century after the Prophet’s death. Spencer argues that Islam (and Muhammad) as we know it only appeared as a means of providing a theological explanation for the political and military successes of the Arabs in the preceding century, a kind of theology-after-the-fact (p. 214). But none of this answers a fundamental question: what exactly happened to transform the Arab peoples from a series of disparate, un-advanced tribes into the unified juggernaut that laid low the Byzantine and Persian Empires in the seventh century? The traditional Islamic narrative provides an explanation, albeit a problematic one. Spencer’s revision, other than some notion of a vague “Abrahamic monotheism” does not provide an adequate answer. But that is not his purpose here; rather, he seeks to tear down a historical figure and his story, not build one up. The issues mentioned here are only a few of the more glaring shortcomings in this work. In short, Spencer explains away the canonical story of Muhammad, the Qur’an, and early Islam, and the very figure of Muhammad himself, by throwing out the large number of supporting sources based upon poor source criticism, while offering a thinly supported revisionist picture in return. There should be no doubt there is much in the traditional story of Muhammad and the formation of Islam that is questionable. The sources we possess are few, chaotic in nature, heavily redacted, and often have an unquestionable bias, so there is much room for real source criticism, scholarly debate, and historical revisionism. But this work goes to an extreme in its disregard for proper source criticism, and its arguments have more in common with those skeptical and atheist critics of early Christianity than with the best of modern historical scholarship. J. Mark Nicovich, Ph.D. is associate professor of history at William Carey University.